President Mandela broke every chain. In breaking his chains, he always lived free. Prison may have confined him, but the burning core of unity in diversity and the cause of freedom for humankind was his everlasting freedom song. The summary of his life, the longevity of his struggle, and Mr. Mandela’s compassion ultimately formulated his resolve. Human rights, peaceful struggler, and learned fearless leadership are limited descriptions of this insightful man who defied prison and chains. Madiba Mandela was a humanitarian. His foundations, including 46664 – his number while at Robben Island – embeds engagement. This indefatigable, renowned world leader engaged the consciousness of nations and individuals to speak and live peace. 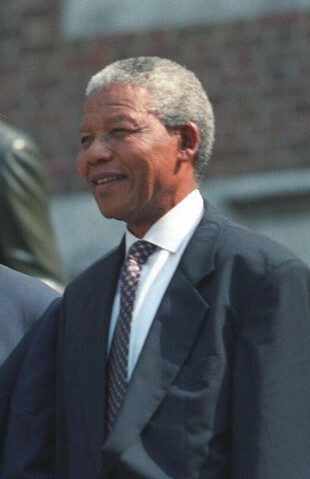 In spite of his “enemy” status, Nelson Mandela came to America in 1990; I was among one of the cheering crowds who were honored to be in the presence of this humble giant who championed the prize of freedom. How long, not long could have been his mantra since he knew his freedom, in spite of the oppression of apartheid every day. Not long, but at least 27 years of unjust confinement, never truly imprisoned the spirit of the man.